Alexander Winery’s vineyards are located in the Upper Galilee at some of Israel’s highest altitudes, ideal micro-ecologies for wine grapes. We emphasize advanced agro-technology alongside controlled use of water and ensure that our vines have lower rather than exaggerated yields. Close observation of the ripening process allows us to choose a harvest date for optimal quality. Alexander Winery is signed onto long term agreements with Upper Galilee wine growers whose experience and devotion to their work ensure vineyards which consistently produce top quality grapes. 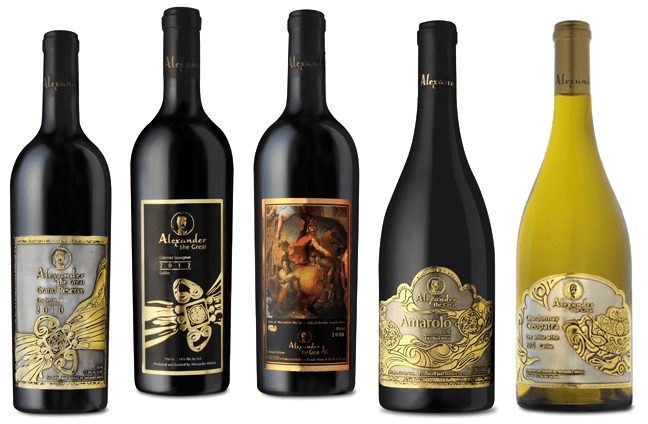 The winery’s Alexander the Great selection is produced from a vineyard of more than 30 years’ maturation. This location produces grapes for our Cabernet Sauvignon wines, and is one of the oldest vineyards in Israel, planted in stages from 1981 to 1990. This vineyard’s harvest is used in the Alexander the Great series. Grape varieties – Sauvignon Blanc, Chardonay, Cabernet Sauvignon, Mourvedre, Greanche. Planted on the slopes of Mitzpeh Hayamim, which overlooks both the Sea of Galilee and the Mediterranean Sea, the mountain’s sharp incline allows rain runoff to feed the Ein Setter spring. The vineyard is in the heart of a stunning nature reserve.